Home has different meanings for each of us. 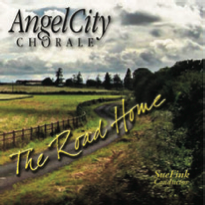 On The Road Home, musical vignettes capture the loss, struggle, hope, and support that we encounter on our life-journeys. This release contains an extraordinary collection of songs, and creates a quilt of musical styles and lyrical settings that reflect our varied concepts of home.